Gorgeous winter wonderland! Your framing and point of view makes me feel like I am in the scene! Wonderful. Beautiful frozen forrest, I like the sequence of planes and sense of depth. Love the composition. Great eye! Une lumière extraordinaire ! Bien vu l'artiste ! Superbe ! Splendid transition of light and shadow--beautiful shot! Like the contrast between the light and shade. Good work on controlling the highlights! 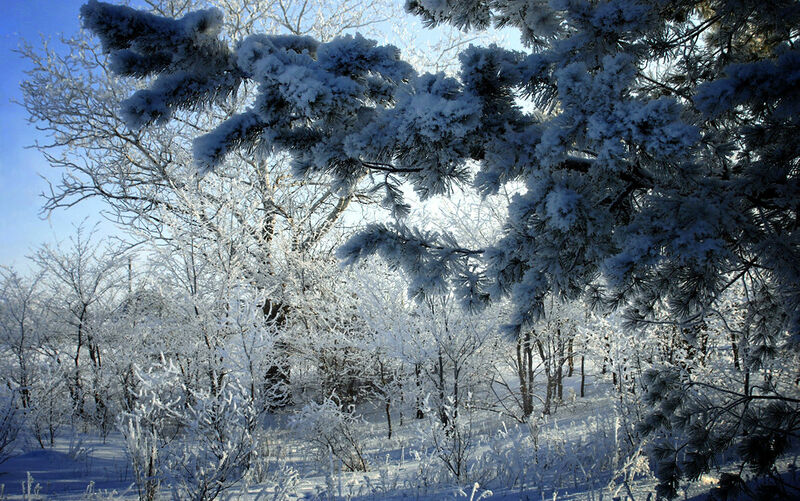 What a beautfil winter landscape.